Imagine that you have stopped to refill fuel in your car after a long drive. Your car is intelligent to understand the number of passengers in the car based on seat belts that are fastened. As you refill fuel, the fuel pump could connect with your car’s in-dash system to offer you a discount on specific sodas – Yes, welcome to the era of Internet of Things (IoT)! In the world of IoT, Improving Operational efficiency is going to be key for companies; Also, to retain their customers and to maintain brand equity, it is important they provide Product differentiation (by embedding intelligence), which takes customer experience to different and higher levels. Consequently, because of these reasons, the set of smart connected products would pave way to new business models, which help companies generate new revenue streams. It is important for companies to effectively define business objectives around the following three broad areas. In addition, it is necessary that companies associate precise success criteria metrics to measure these objectives. The immediate benefits from IoT are automation that helps improve productivity and gain operation efficiency. In a smart manufacturing environment, every machine is connected and every variable is continuously measured and analysed. This allows companies to make smarter decisions and prevent expensive downtimes; thus, helping them to achieve operational efficiency. The image below depicts a Smart Enterprise Cooler. While a regular cooler is responsible to just cool the products placed in it, a smart cooler on the other hand, helps transmits helpful data to gain transparency, understand usage pattern and health issues of the cooler -thus, transforming a standalone cooler to a revenue generating asset for the company. Beyond cost and energy savings, smart connected products also bring companies and end-consumer’s closer, leading to improved customer satisfaction and brand equity. This results in blurring industry boundaries, re-shaping entire value chain and finally exposing companies to new competitive landscapes. The rules for creating market and capturing economic value have been in place for many years and were fixed. But, new business model innovations are possible with the rise of digital quotient amongst every line of business. This means that every business is being transformed to a technology business. For example, the boundary between the car manufacturers and insurance providers are blurred or removed. e.g. an Indian company adopted the model of selling purified water rather than selling water purifier units by IoT-zing them. With this subscription approach, consumers do not have to worry about shifting gadgets, because their subscription model would take care of that! The broader benefits of this model are that you are charged based on the consumption, and these smart devices can also predict its servicing needs and connect you to the manufacturer of the machine directly without having to deal with a middle man or service providers. To conclude, by defining clear measurable objectives, expected outcome and distinctive value proposition that a company can realistically achieve will ultimately pave the way to success and competitive advantage. With billions of connected devices, data is growing exponentially. Analysts estimate that about 2 billion gigabytes of data are being produced every day; but it is surprising to know that only 15% of that data is actually useful. This is where it is important for companies to define, as to what percentage of data to be processed at edge level itself and what percentage to be sent to IoT cloud. Right data strategy does not stop restricting data transmission. But, it is key to generate meaningful data and restrict data generation by having the right number of sensors. For example, an iPhone has less than 10 sensors, yet we see thousands of applications around them. In contrast, consider an industrial device like a machine or an appliance that has 3000+ sensors and generating volumes of data— most of this data might not be useful for any analysis. Yes, comparing an iPhone with an industrial device is not ideal. But, the idea is to convey the importance of right data strategy. 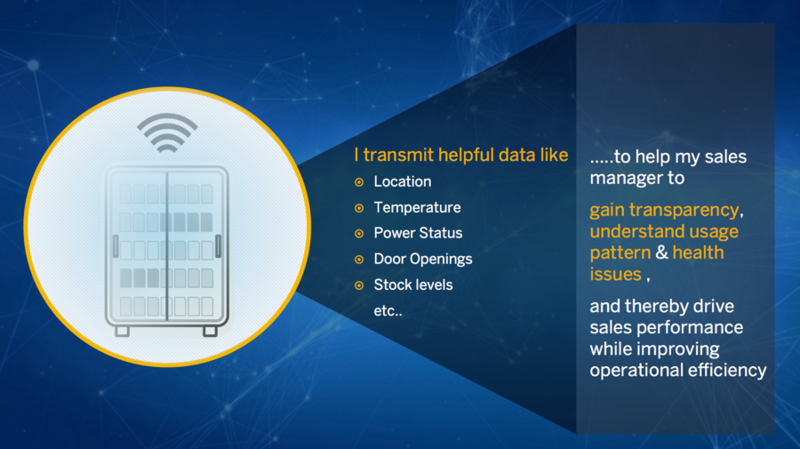 It is critical to identify those pertinent handful of sensors in such a way that analysis of data from these sensors will deliver business outcome driven applications. A right data strategy will strengthen data integrity by only storing and analysing the “right” data and will help reduce operational costs, which are key for gaining value. A traditional IT software comprises of two layers, an application layer and a platform layer. But, an IoT application typically comprises of a stack of five layers (Sensor/Device, Connectivity, Database, Application platform and Apps & Analytics) and the connectivity layer serves as the GLUE between hardware(OT) and the software layers(IT). Currently, it is not possible to name one single company that would be able to offer turnkey IoT solutions for its customer; so the success of any IoT application will be based on good technical and business co-ordination between these fragmented industry ecosystem players. Finally to conclude, “IT to IoT” is a new phenomenon. For every business, whether emerging or mature, IoT will improve productivity, enable efficiency and generate new revenue streams. Though we are at the peak on the IoT hype curve, we are realising the tangible outcomes of what IoT can yield. It is definitely on its way in moving from hype to reality and help gain value.